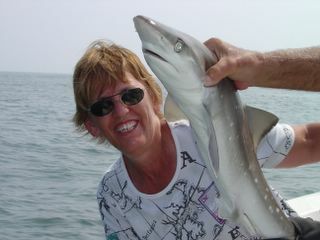 Mom and the shark she caught. I don't have a picture of Bill's shark. I will have to get it from my mom's camera. that is just the cutest! !